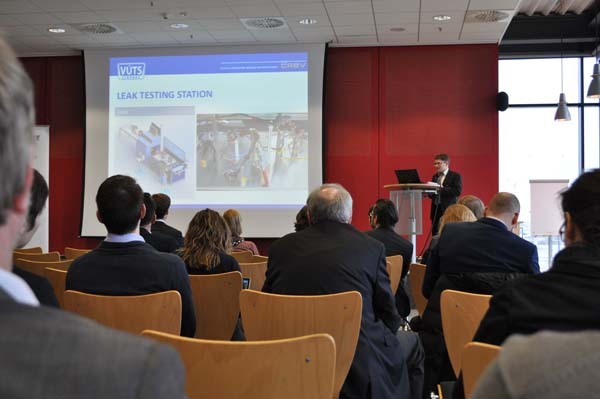 The location is almost tradition: for the third time, more than 100 interested people came to the Laboratory for Machine Tools and Production Engineering (WZL) of RWTH Aachen University to join the latest Partnering Event hosted by the international funding networks CORNET and IraSME. 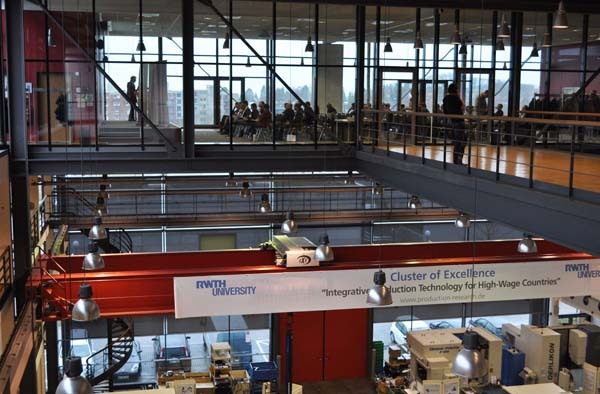 The event was taking place in cooperation with ZENIT and the EEN network. 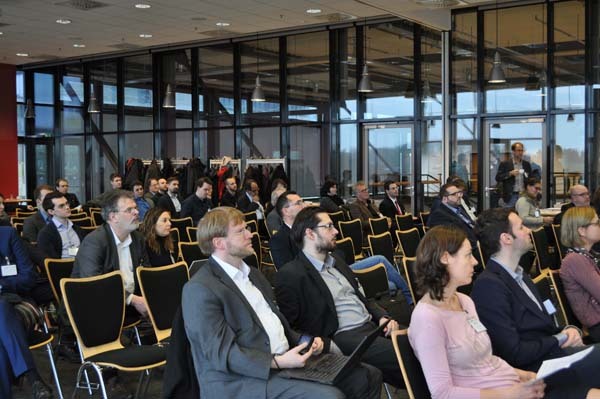 CORNET and its partner network IraSME are financially supported by the German Federal Ministry for Economic Affairs and Energy (BMWi). CORNET promotes international projects of pre-competitive Collective Research in favour of small and medium-sized enterprises (SMEs). Funding is provided country-by-country. 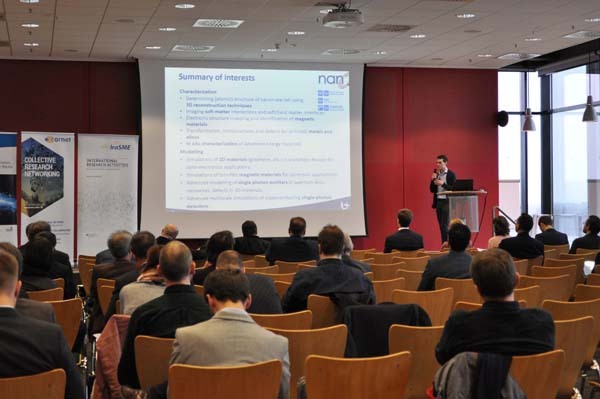 German project partners are funded on the basis of the programme Industrial Collective Research (IGF) which is organised in the innovation network of the AiF and its research associations and financially supported by the BMWi. 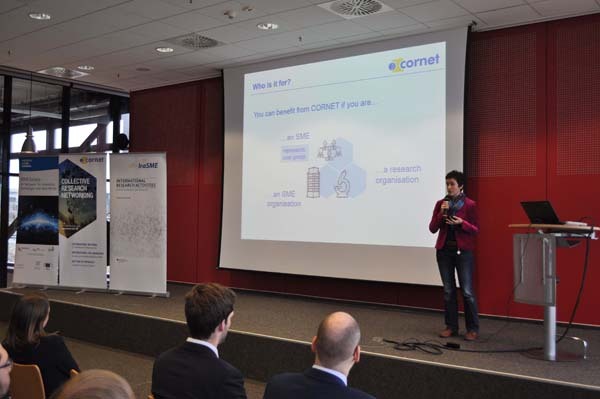 CORNET’s pre-competitive results, which are widely adopted across the industry, can be used by companies and research organisations as basis for application-oriented international IraSME projects. 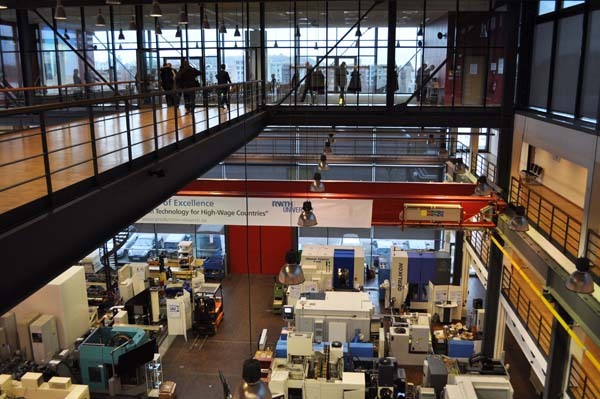 Here, individual companies and research institutes are jointly developing new products, technical services or better production processes. 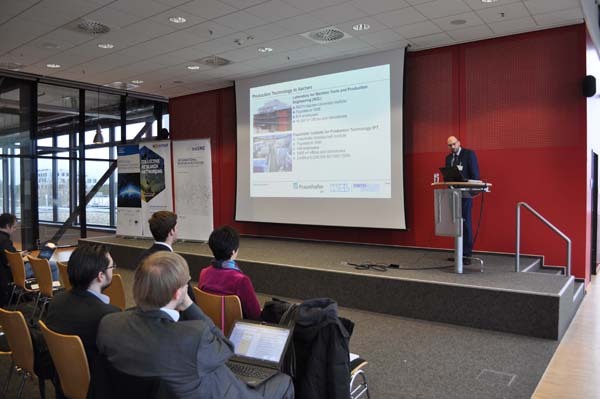 On the German side, IraSME is based on the Central Innovation Programme for SMEs (ZIM) of the BMWi, whose strongest pillar, ZIM cooperation projects, is managed by the AiF project GmbH. 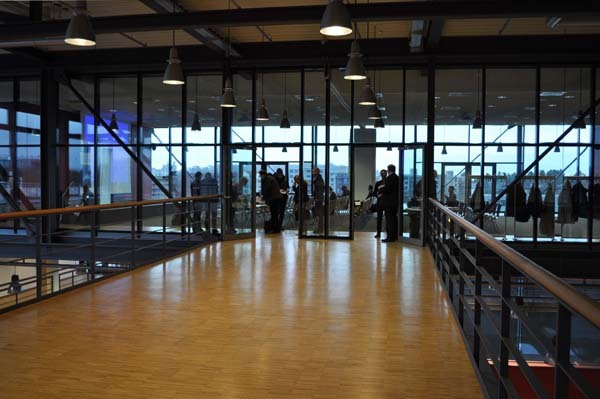 In an event hall high above the university campus in Aachen, Dr. Thomas Auerbach from WZL welcomed guests from all over Europe and presented his institute. 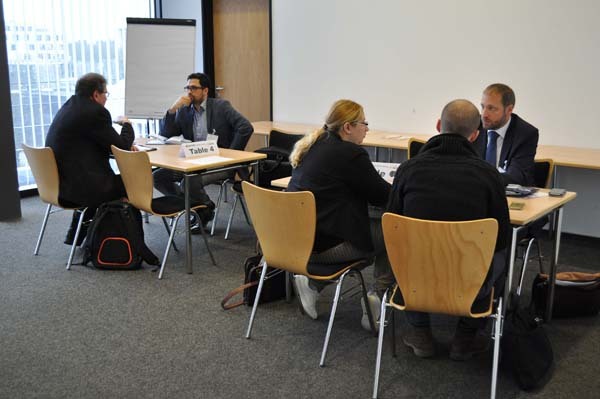 Afterwards, the participants were able to gain an overview of funding opportunities and conditions in CORNET, IraSME, EEN, TETRAMAX, HYPEREGIO and at NRW Bank in order to find the appropriate financing for their planned projects. 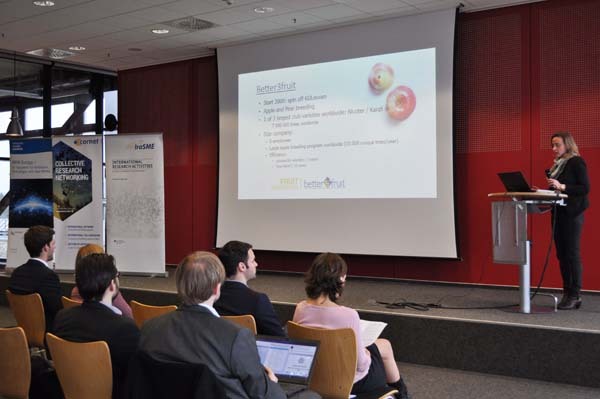 Under the agenda item “At the heart of a project”, Tobias Schröer from the Research Institute for Rationalization (FIR) e.V. 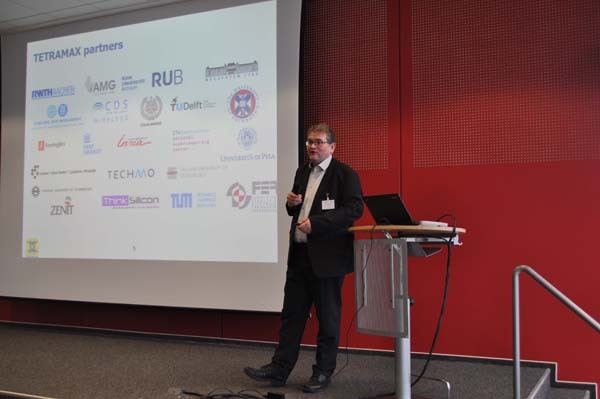 at the RWTH Aachen University introduced the successfully running CORNET project “AM4Industry” which deals with quality assurance and cost models in additive manufacturing. 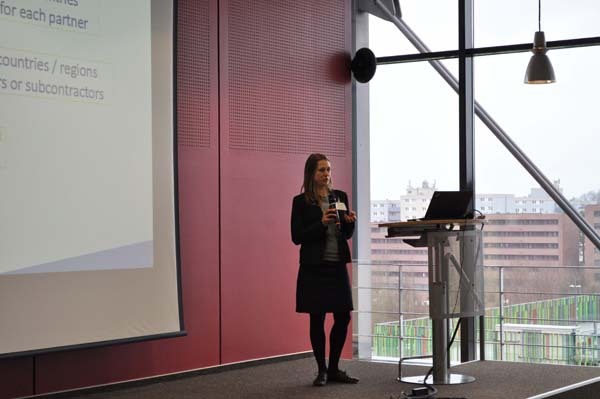 Schröer shared valuable experiences with the audience and gave many tips regarding application and implementation in CORNET. 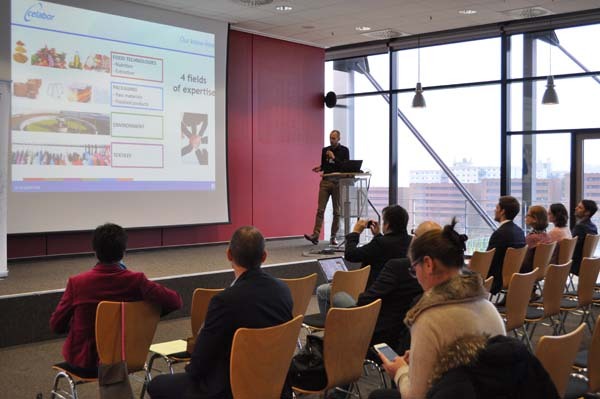 The highlight of the Partnering Event were the so-called “Elevator Pitches”, five-minute presentations in which the participants could either present their organisational profile or a current project idea in order to find suitable partners for international research projects. 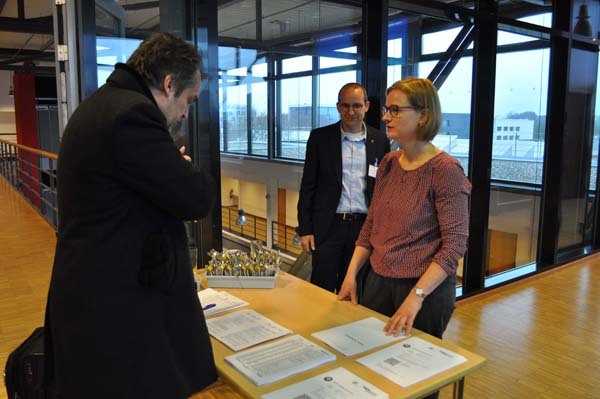 At the same time, many participants held bilateral talks which they had previously scheduled via the registration tool. 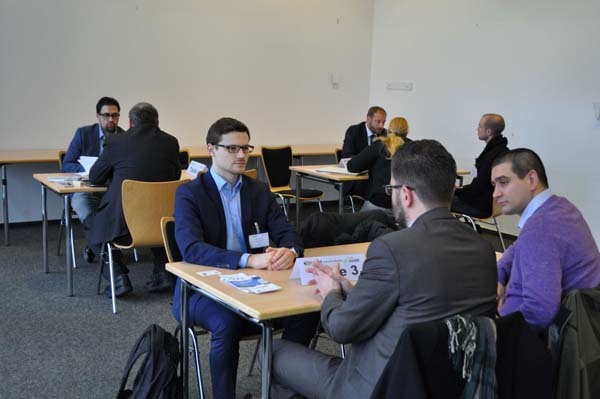 At the Partnering Event, informative lectures and focused discussions alternated with the opportunity to network in a relaxed atmosphere. 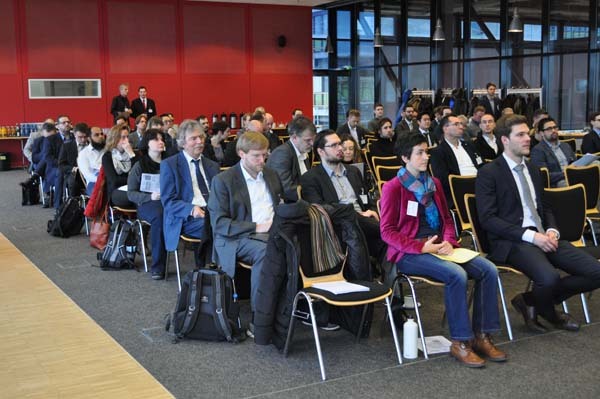 Six weeks remain to complete the project consortia and to fill in the proposal documents: on 28 March 2018 the 25th CORNET Call for Proposals is closing. Proposals have to be submitted in time via the CORNET Submission Tool. 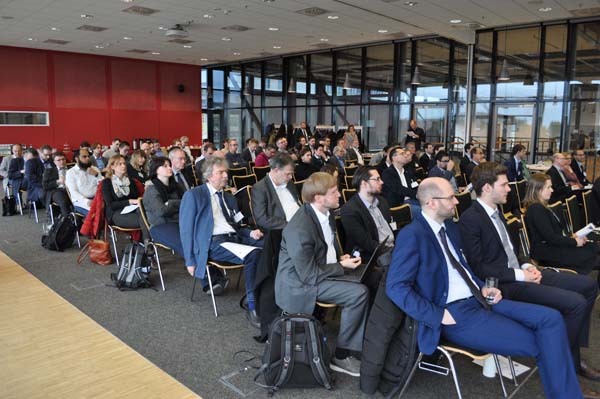 The next Partnering Event is taking place on 7 June 2018 at the Innovation Day for SMEs – a traditional showcase of successfully funded innovation projects hosted by the BMWi on the garden grounds of the AiF Projekt GmbH in Berlin-Pankow. 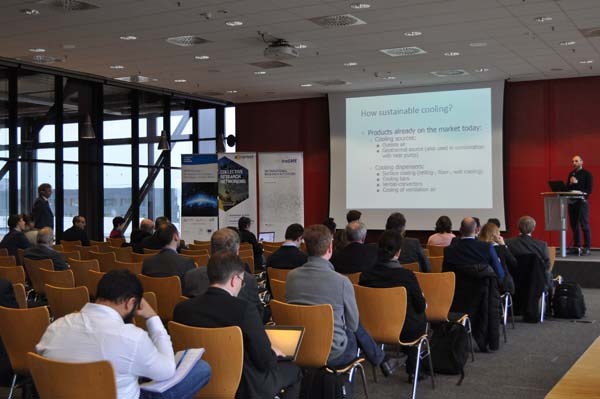 There, interested parties can find project partners for the next 26th CORNET Call for Proposals, approximately closing in the end of September 2018. Further information about the regulations and the application procedure can be found in the section Calls for Proposals. If you have any questions or your country is not yet partner in CORNET, the CORNET Coordination Office will be happy to help.